Scott Air Force Base is home of Air Mobility Command's "Showcase Wing." 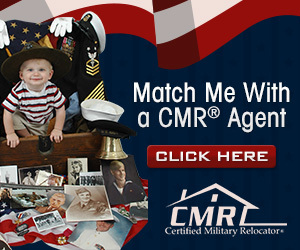 An assignment here offers you an opportunity to serve in a very dynamic and Joint Total Force environment. Scott is located in southern Illinois and is part of the "Metro-East" portion of the greater St. Louis area, surrounded by the cities of Belleville, Shiloh, and Mascoutah in St. Clair County. The base is located near historic Belleville, Ill. approximately 20 miles east of St. Louis, which is the largest city near the base. The Shiloh Gate, our primary vehicle entrance point, is 1.5 miles southeast of Interstate 64 (Exit 19A) at Route 158. The surrounding communities enjoy a moderate cost of living and offer the best of Midwestern living with the excitement of a large metropolitan area just across the mighty Mississippi River. Located in the Central Time Zone, Scott's weather includes four definite seasons. Temperatures range from the low 90s in the summer to winter nights when temperatures drop into the mid-teens. The wettest months, May and June, average four inches of rainfall each. The average annual precipitation is 38 inches. During World War I, Secretary of War Newton Baker advocated an expanded role for aviation. Business and political leaders on both sides of the Mississippi River wanted the Midwest to be chosen as a site for one of the "flying fields." These factors led to the establishment of Scott Field. Construction was well underway when the government announced it would name the field after Corporal Frank Scott on July 20, 1917, the first enlisted person to be killed in an aviation crash. The primary mission of Scott Air Force Base is global mobility. The base commands and controls all logistics of United States military in air, over land and across the sea. Team Scott sets policies and executes all air mobility operations. The installation is responsible for providing United States aeromedical evacuation capabilities, fly operational support airlift in the C-21, and air refueling missions in the KC-135. Scott Air Force Base supplies forces to theater combatant commanders. The 375th Air Mobility Wing has managed the domestic aeromedical evacuation system since 1975 by providing timely airlift of seriously ill or injured military personnel, military family members and other Department of Defense patients to medical treatment centers. The 375th Air Mobility Wing is AMC's Showcase Wing - Enabling Rapid Global Mobility! The wing's Operational Support Airlift fleet consists of 50 C-21A Learjets stationed here and at Geographically Separated Units at Andrews, Wright Patterson, Peterson, Offutt and Langley Air Force bases. The 458th Airlift Squadron flies these missions that provide transportation for government officials, cargo requiring time-sensitive airlift, and single patient aeromedical evacuation. The 375th consists of several staff agencies and four groups: 375th Medical Group, 375th Mission Support Group, 375th Operations Group, and the 375th Communications Group. The 375th Air Mobility Wing hosts several significant tenant organizations - including U.S. Transportation Command, 18th Air Force, Air Mobility Command and Air Force Network Integration Center, a Reserve airlift wing (932nd Airlift Wing), and an Air National Guard refueling wing (126th Air Refueling Wing), the Surface Deployment Distribution Command, the Defense Information Systems Agency, the Defense Information Technology Contracting Office, and the USAF Band of Mid-America, among others. The Scott community has a total work force of more than 12,000 personnel-including active duty, civilians, Air National Guard and Reserves. If you include the more than 9,058 family members and the total number of military retirees and their families, Scott serves nearly 64,000 people. Scott is spread out over 3,589 acres with 57 miles of roadways. People who fly on a commercial airliner to Scott will arrive at Lambert -St. Louis International Airport. The airport is approximately 38 miles from the base. From the airport, the quickest and most efficient way to get to the base is via MetroLink. Metro has two MetroLink airport stops located near baggage claims; ask an airport employee for location assistance. When boarding the MetroLink, head toward the Shiloh-Scott Station on the red line. The one-way trip takes approximately one hour and fifteen minutes. Once at the Shiloh-Scott Station, you should have your military identification and current orders ready for the security forces member. If security forces are not at the location, pick up the direct telephone line and follow the instructions for access. It is best to have your sponsor meet you at the station. MetroLink schedules are posted at the Scott Inn and the AMC passenger terminal. If you prefer your own personal schedule, call Metro at 314-271-2345, and they will mail you one free of charge. Updated fare and schedule information is available on the Metrolink website. Personnel authorized unescorted access to the installation as defined in SAFBI 31-101, Installation Security Instruction, Chapter 6, are authorized and encouraged to enroll in the Biometrics Hand Geometry entry system. Enrollment is completed at the 375th Security Forces Squadron's Pass and Registration Section located in the Visitors Center located at the Shiloh Gate. Only personnel enrolled in the Biometrics entry system are authorized to sponsor guests onto the installation through the Metrolink Gate. Others not enrolled may use their military ID cards to be read by the 375 SFS desk. Take I-70 East from the airport. Exit on I-64 East going to Illinois/Louisville Kentucky. Exit I-64 East at 19A (Scott AFB exit sign will be seen). Follow it to the second light (Seibert Rd) and turn left and continue to the Shiloh Gate. After passing through the gate, you will see the Scott Inn on your right at the first light. To avoid downtown St. Louis (rush hour, event traffic due to Cardinal games, etc), leave the airport on I-270 (North/East) going toward Illinois. Exit on I-255 (South/West) traveling towards Memphis. Exit on I-64 East. Exit I-64 East at exit 19 A (Scott AFB exit sign will be seen). After passing through the gate, you will see the Scott Inn on your right at the first light. If you are driving to Scott, there are several routes you can take to get to the base. However, the primary highway is Interstate 64. Take I-64 to Exit 19A (Scott AFB/Route 158). Continue straight until you reach the second stoplight (Seibert Road) and turn left, continuing straight to the Shiloh Gate.When you arrive at the gate, have your military identification ready to show the security forces member. If you have any questions, contact your gaining sponsor. Shiloh Gate (Scott AFB main gate on Seibert Road and location of the Visitor Control Center) connects to IL 158 with follow on to I-64. 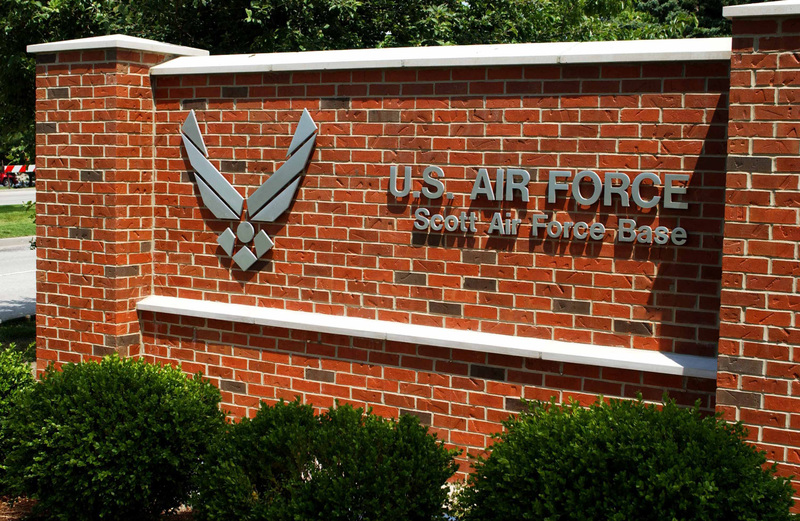 The Shiloh Gate is the only 24 hour access point for Scott AFB. Belleville Gate is on the south side of the base connecting with IL 161. Effective 11 July 2011, the Belleville Gate will be closed nightly from 11:30p.m to 4:30a.m. Mascoutah Gate will be open to POVs for exit only during peak hours. Patriot's Landing Gate is normally closed to all traffic.